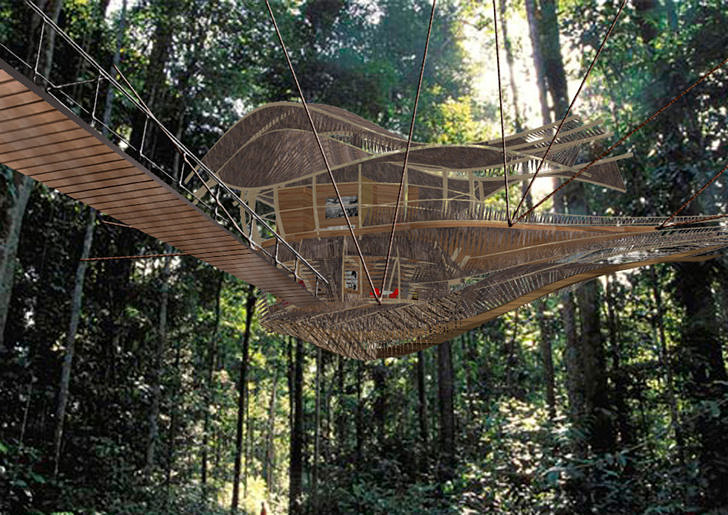 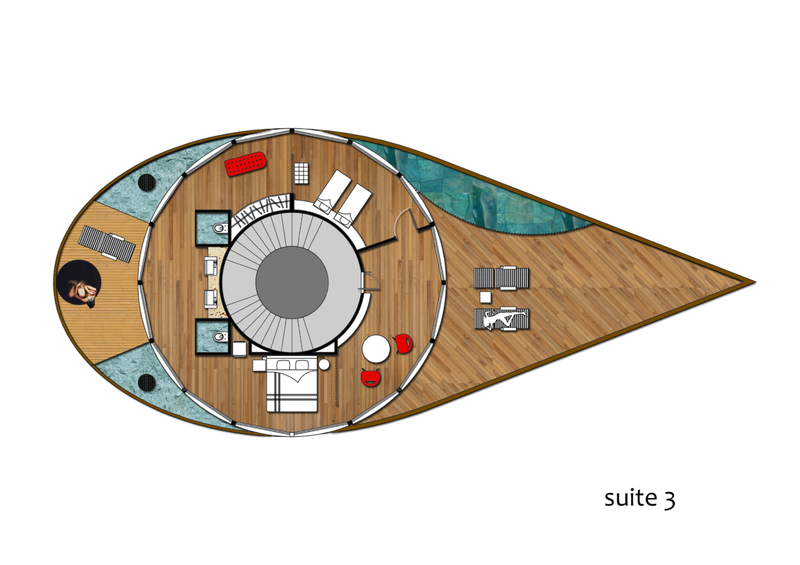 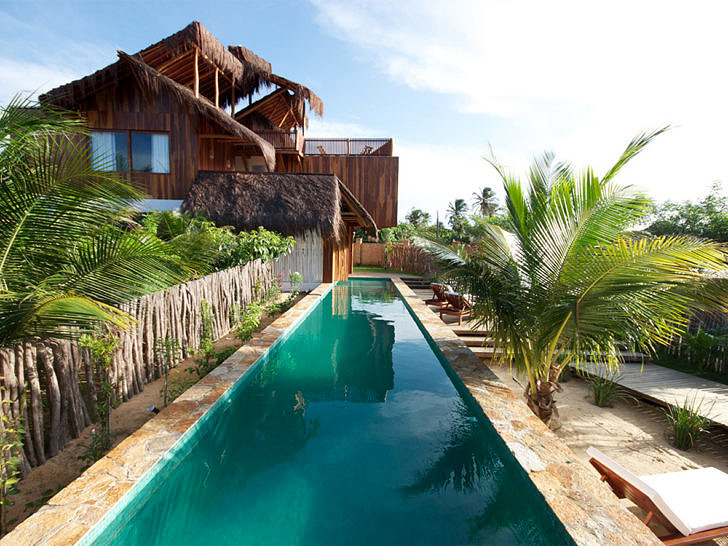 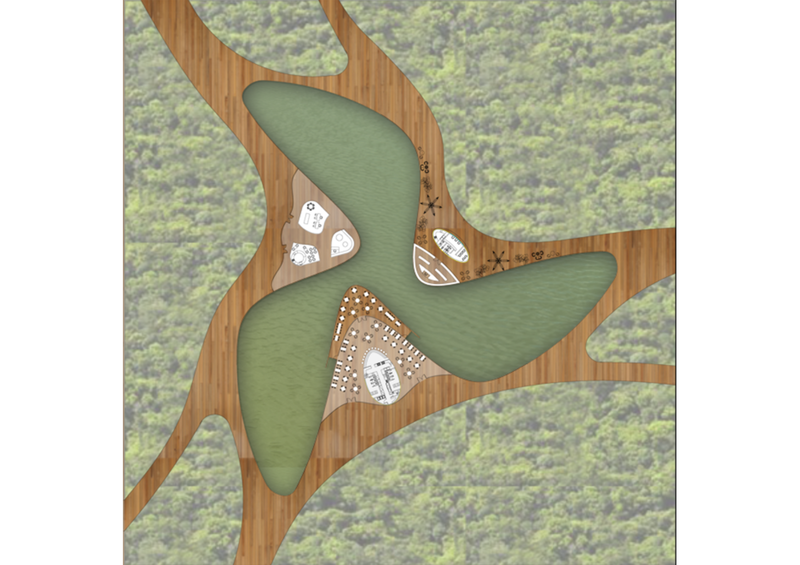 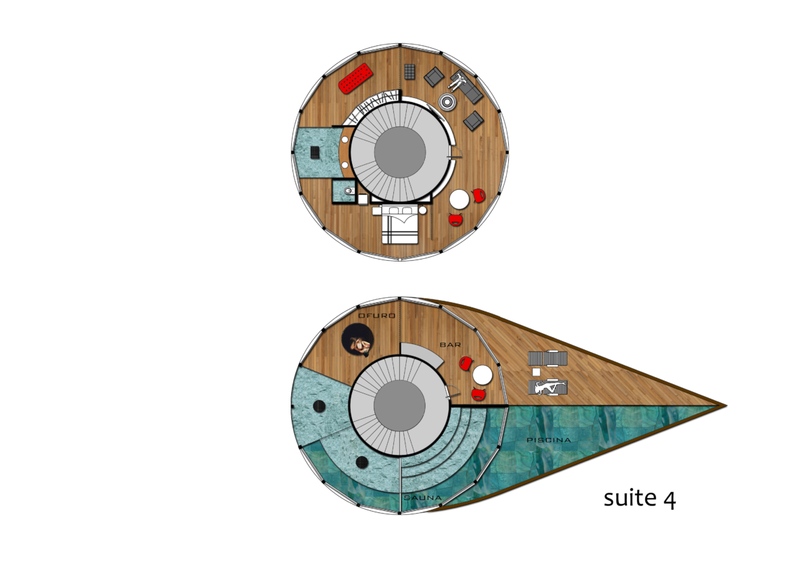 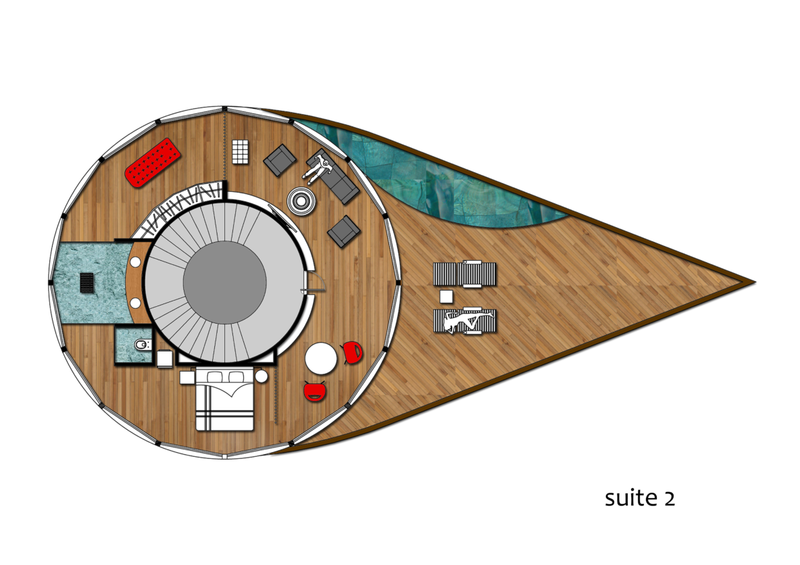 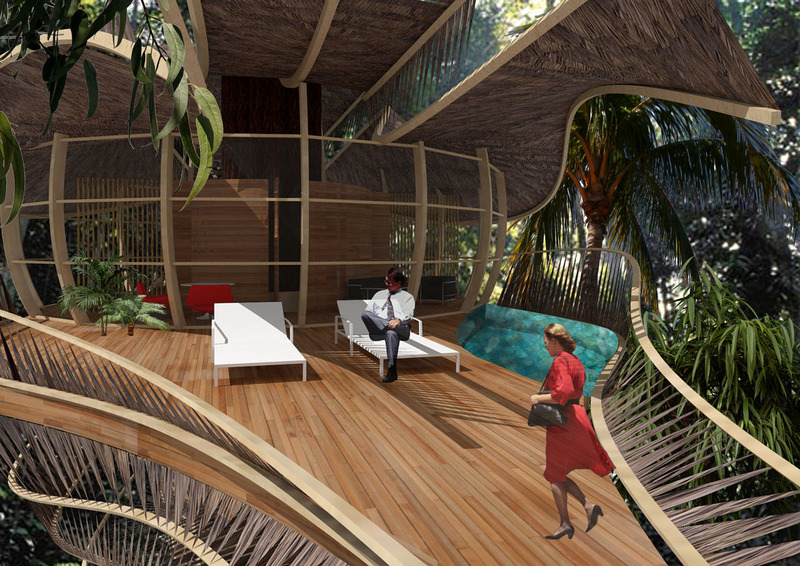 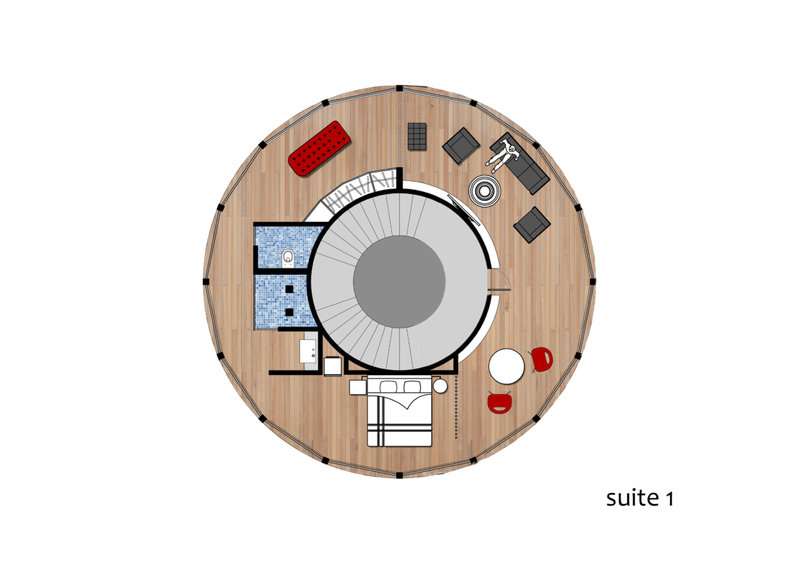 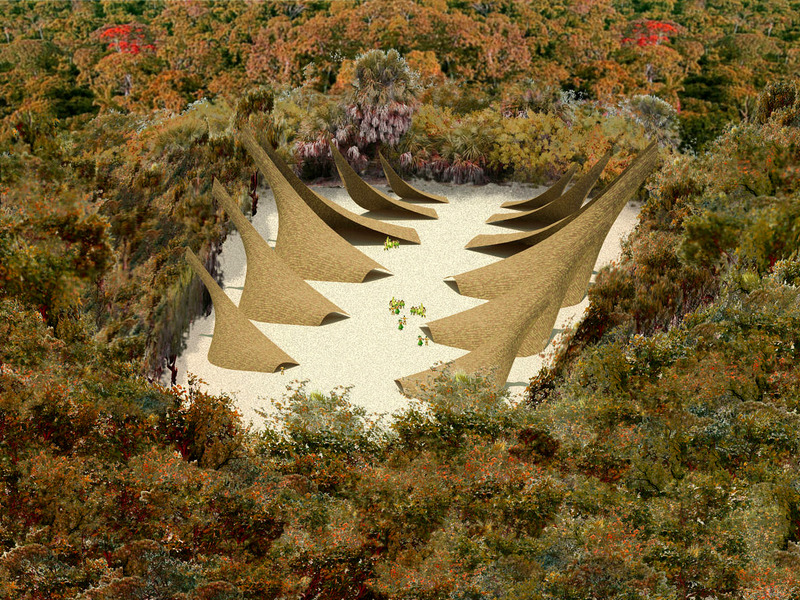 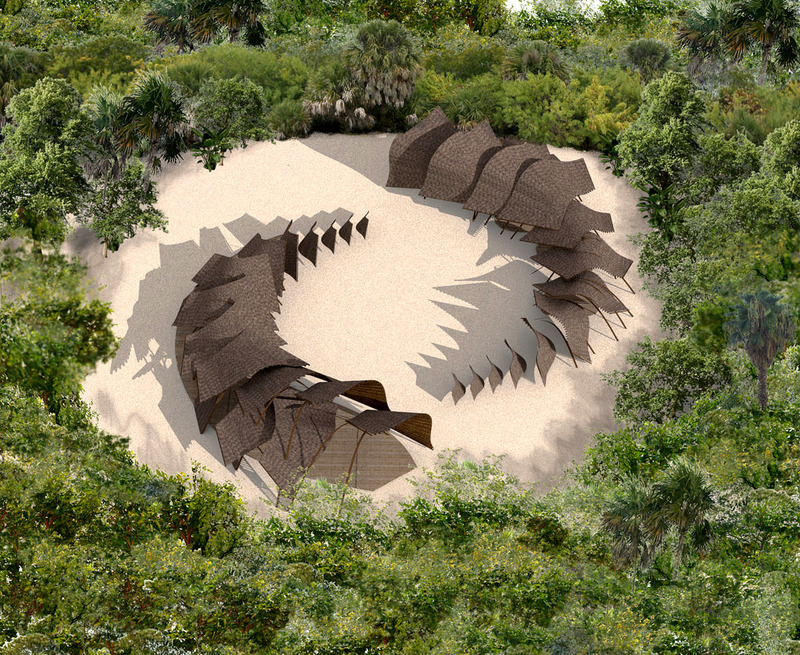 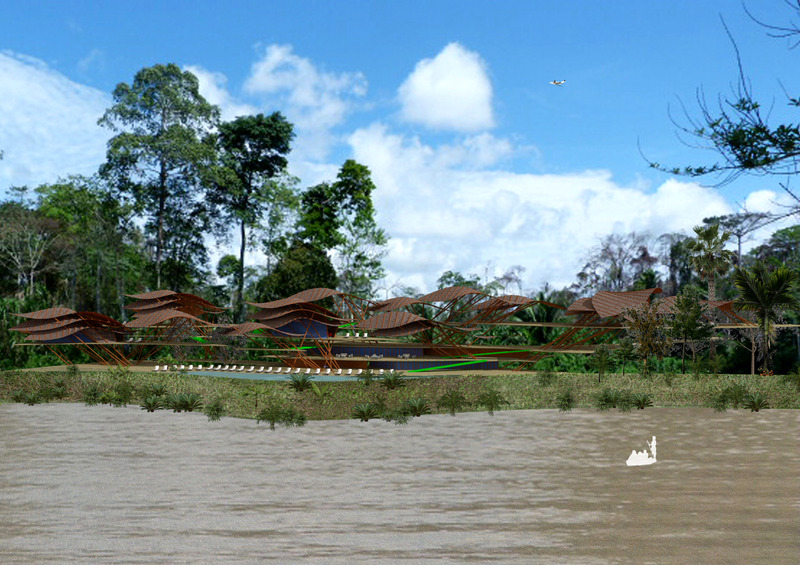 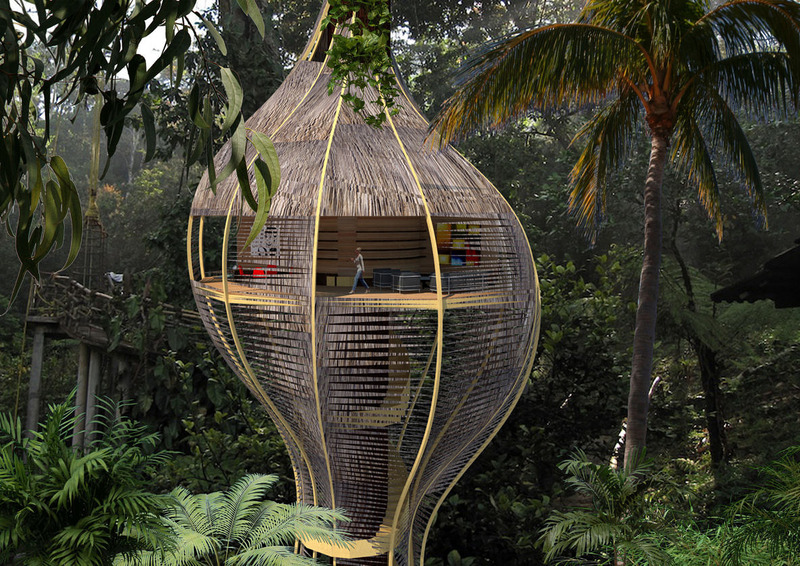 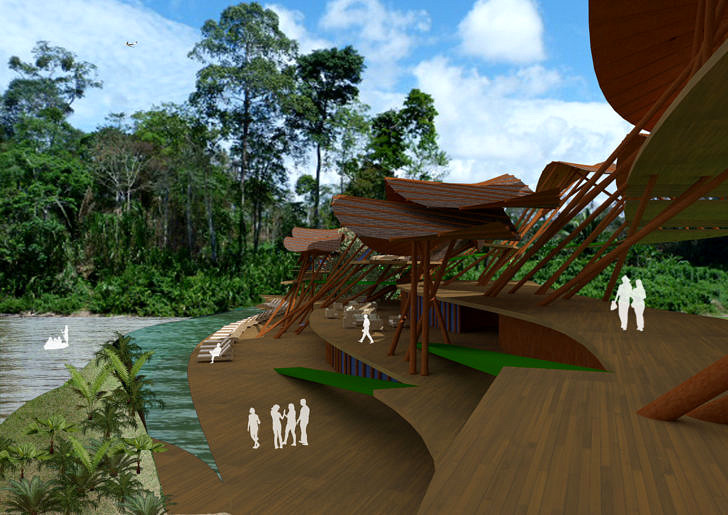 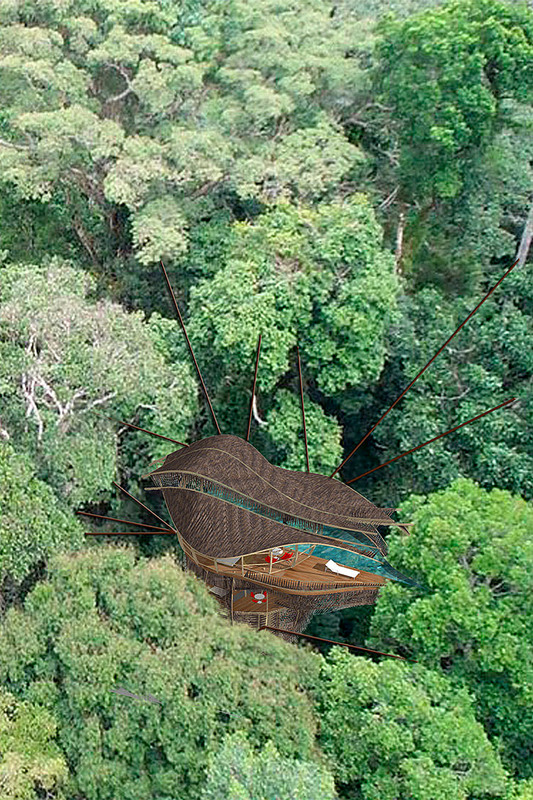 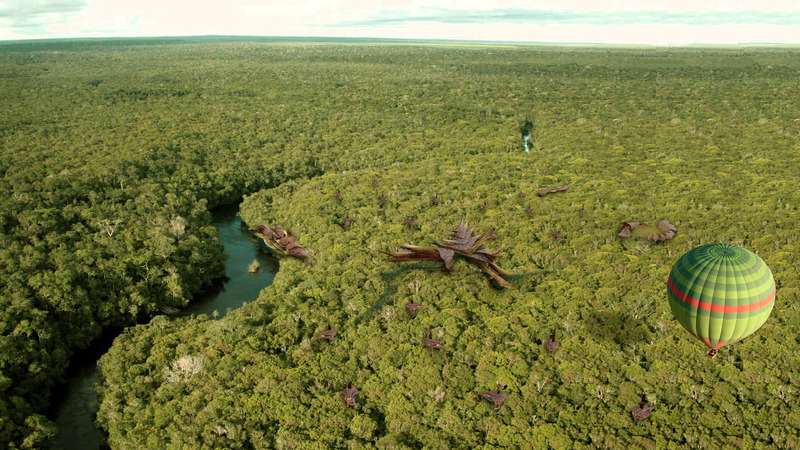 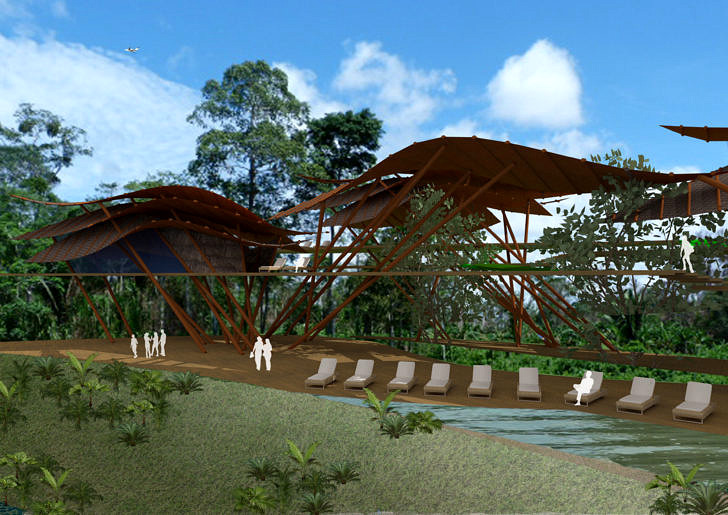 The program presented by the clients requested a project of a resort in the jungle inspired by the indigenous culture. 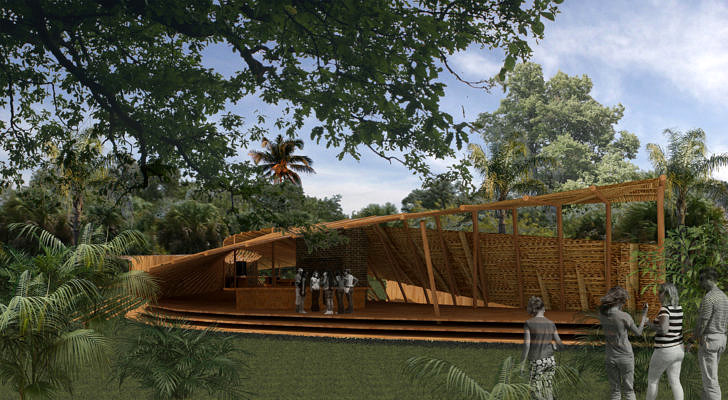 Since we do not possess much literary material or many references about the construction techniques used by the peoples that came before colonization, we travelled and lived among the natives of the Amazon region in order to watch the ways in which they live, build and use materials. 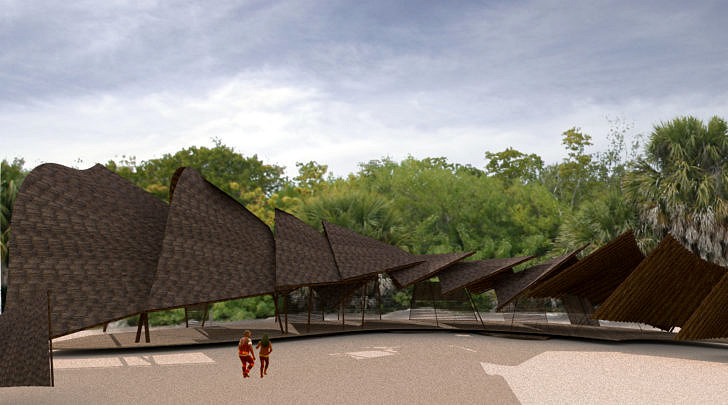 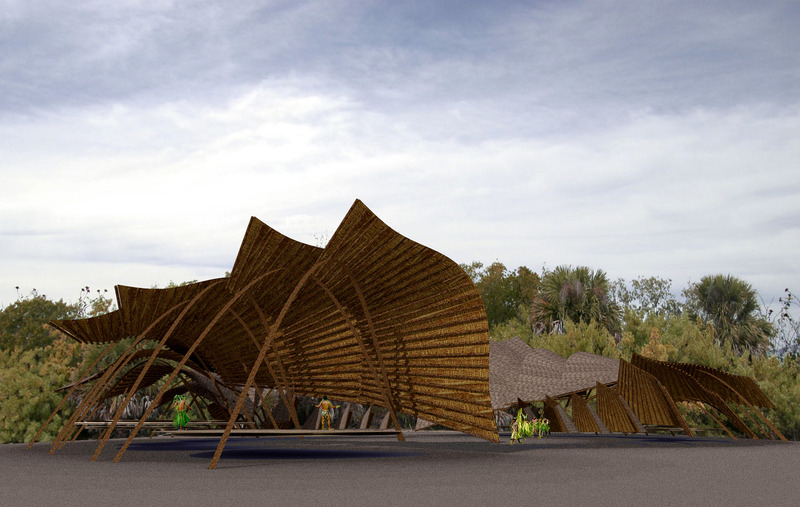 The intention was never to do a “revival” of the old construction techniques, we wanted to search for references, such as the curved wood or the tarp made with palm tree leaves – which, due to their oiliness, repel water and have a durability of 20 years – or the shading and ample cover culture. 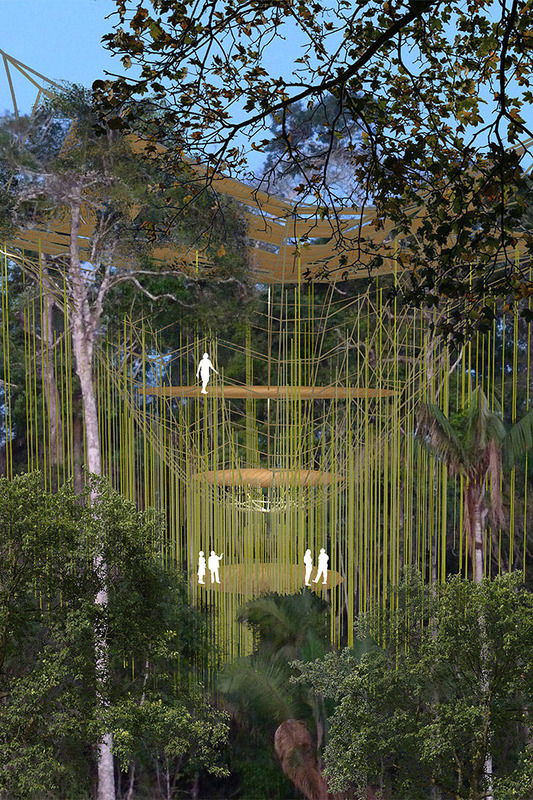 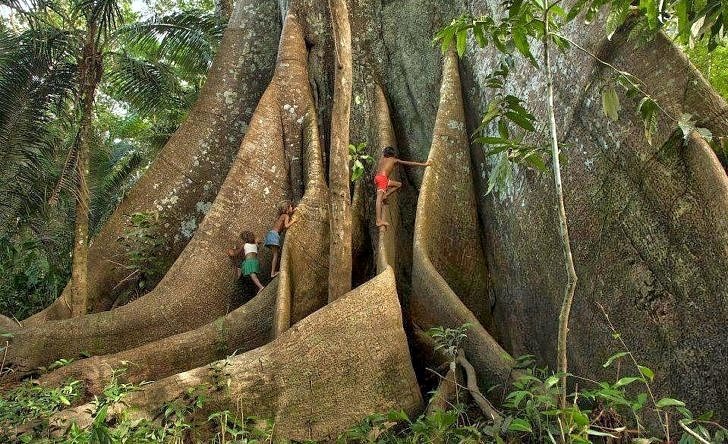 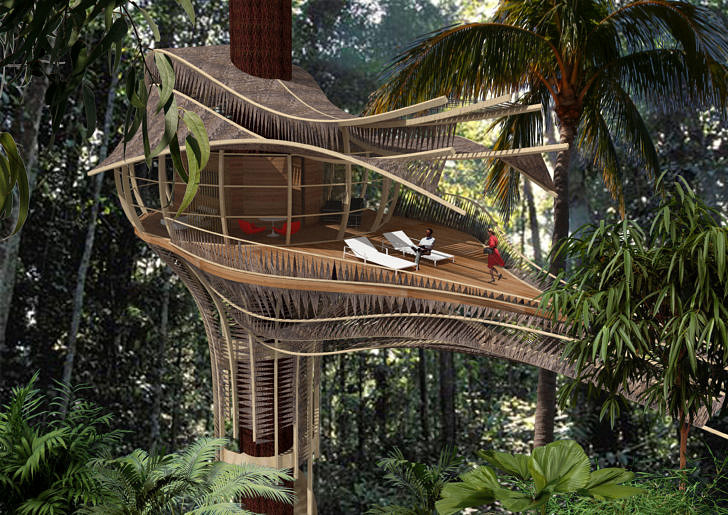 The design was strongly inspired by the Amazon forest, especially the big trees (samaúma – Ceiba petandra) whose roots grow and surround the trunks, creating irregular shapes. 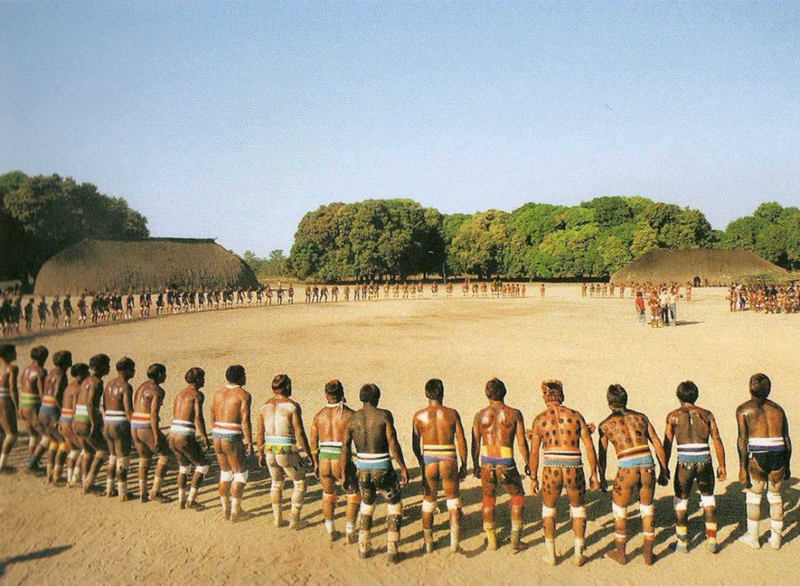 The culture and the drawings of the Uni Kuins and Yawanawa peoples were decisive for the design of the paths and living areas.